"How do we want to live, to learn, and to do business? What is social-ecological justice – does it even exist? Are there limits to cultural and/or ecological diversity? Who will we be tomorrow? So many questions, so much curiosity pressing for answers. Young talents are given the scope of opportunity and action in their research fields – what is sustainability in science? How is it anchored in/between disciplines? I look forward to getting to know all approaches and ideas and to learning a lot!" Prof Christa Liedtke graduated from University of Bonn with a PhD (Dr rer nat) in Biology in the research field of Cytology. Following a position as head of the working group “Monoclonal Antibodies” at the Chair of Cytology, University of Bonn, she started her career at Wuppertal Institute for Climate, Environment and Energy in 1993. Since 2003, she has been heading the research group “Sustainable Production and Consumption” at Wuppertal Institute and became Director of the “Sustainable Production and Consumption” division in 2018. Prof Liedtke’s research mainly focuses on research strategies for sustainable production and consumption, assessing resource efficiency (material flow analysis) and sustainability of and in value chains as well as analysing behavioural and systemic patterns in the areas of production and consumption in order to develop strategies for sustainability improvements. After holding a visiting professorship since August 2012, Prof Liedtke is supervising the Sustainability Research in Design/Industrial Design at Folkwang University of the Arts, Essen since May 2016. 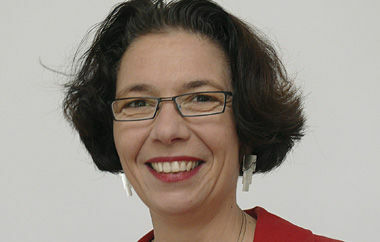 Due to her outstanding expertise in the field of sustainability, Prof Liedtke has acted as advisor for, among others, the “Dialogue on Germany's Future”, initiated by the Germany Chancellor in 2011, the German Federal Ministry of Food, Agriculture and Consumer Protection (BMELV) and the German Society Club of Rome. Since 2013, Prof Liedtke is chairwoman of the Resource Commission of the German Environment Agency, whose members from business, science and administration advise the Agency in its resource efficiency activities.